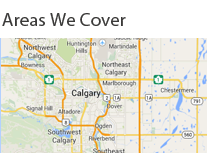 When your security is compromised, calling Next Door Locksmith Calgary for rekey services is the best thing to do. We all know that locks and keys should be in good condition so that burglars cannot gain access to your property. That is why, calling a reliable locksmith company is necessary to keep you and your property secured and protected. Next Door Locksmith specializes in rekey services. If ever you need help for your locks and keys, our professional locksmiths are available 24/7 to help you out and maintain your security. We have the best tools and equipment to make your lock and key fit properly; and we keep in mind to be efficient and swift in providing any locksmith services. So when your locks and keys do not go well, call us immediately and we will be glad to serve you better. All our locksmith services are provided by our professional technicians who are fully licensed, trained and skilled. Aside from undergoing a number of trainings, our locksmiths have a good experience in providing rekey services. We are confident that our people can deliver the best services for your locksmith needs, especially during times of crisis. Thus, we can guarantee that all our customer’s locks and keys are made with perfection and are capable of providing security to their property. Our professional locksmiths are friendly, honest and dependable. They can work in any conditions, whether at day time or at night time. Our services in Next Door Locksmith can be availed 24 hours a day, 7 days a week, and 365 days a year. We make our business open around the clock so that every individual can obtain optimum security, day or night. We do not want to provide an opportunity for burglars to access any valuable property. Thus, whenever your locks and keys are not functioning properly, we immediately respond and arrive at your location within 30 minutes or less. That has been our protocol ever since because we know that it is important to maintain the security of your home, especially in these times where theft and robbery are very common. We were able to maintain the loyalty of our old customers and we successfully gain new customers every now and then because of our efficient and excellent locksmith services. We always aim to provide effective locksmith services as possible because we know that every customer deserves only the best. Our customer service representatives are friendly and accommodating; and they can immediately forward your needs to one of our locksmith technicians. Just give us a call whenever you need help and we will be there right away. Our services are given at reasonable prices. We do not charge any hidden fees and we always stick to the quoted price. No matter how simple or complex the rekey services are, we ensure to provide the right price so that you will not have a hard time paying it.